A former marine is being praised for his heroism and bravery. 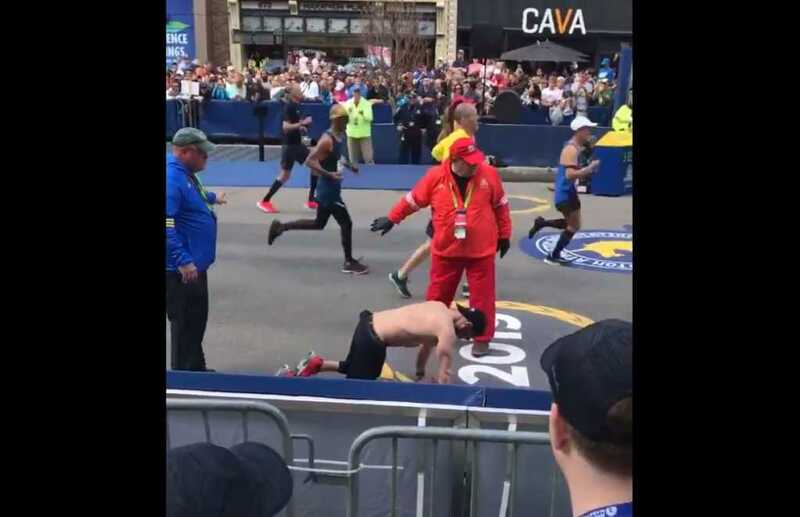 But this time, the recognition was not for his selfless service to his country — it was for the dedication he showed in completing the annual Boston Marathon. Afghanistan war veteran Micah Herndon set out on the famed 26.2-mile route in honor of his friends and former marines, Mark Juarez and Matthew Ballard, along with British journalist Rupert Hamer. Back in 2010, all three perished when a massive IED explosion decimated their armored vehicle. Hendon said that running kept him going after the incident, noting that the habitual exercise staved off the effects of PTSD. By the final portion of the grueling marathon, Herndon was absolutely exhausted — but he wasn’t about to let the last stretch get the better of him. Sunken to his hands and knees, the military man pressed on toward the finish line. Herndon, who was knocked unconscious after the IED blast, recalled the moment he woke up and was filled with a deep and lasting sense of gratitude for life. The war hero also spoke openly of his struggles with PTSD. And as for those painful final moments at Monday’s race, this Marine said he just had to utter three names to give him that last little bit of gas. In a wonderful gesture of respect and honor, Herndon also sported running shoes that were laced with tags inscribed with the names of the three men who fell on that fateful day. Many responded to the powerful footage with messages of support for this warrior. What an amazing man! Please keep all those who serve with such bravery and courage in your prayers.